I bought a 6mm primer bulb on Amazon last summer for my Twinstar project. IIRC, it was installed in my fuel line in October. It's only been used a couple of times since installation. I've run less than 3 gallons of gas through it, using only non-ethanol premium car gas with two stroke oil. This morning, I noticed fuel standing on top of the tank, under the primer bulb. The bulb has completely dry rotted, with one end cracked almost all the way through. Now, can anyone recommend a quality primer bulb for 6mm fuel line? After a broken flapper valve put me back on the ground just seconds after take off I went searching for a better quality primer bulb. That was twelve years ago. Short version, all I could find was "Hecho en Chine" crap. Even the supposedly "good" one from CPS was junk. If you have an electrical system replace it with a Facet pump. That's the surest, safest way to go. Haven't used a primer bulb since my Firestar days, with no battery. 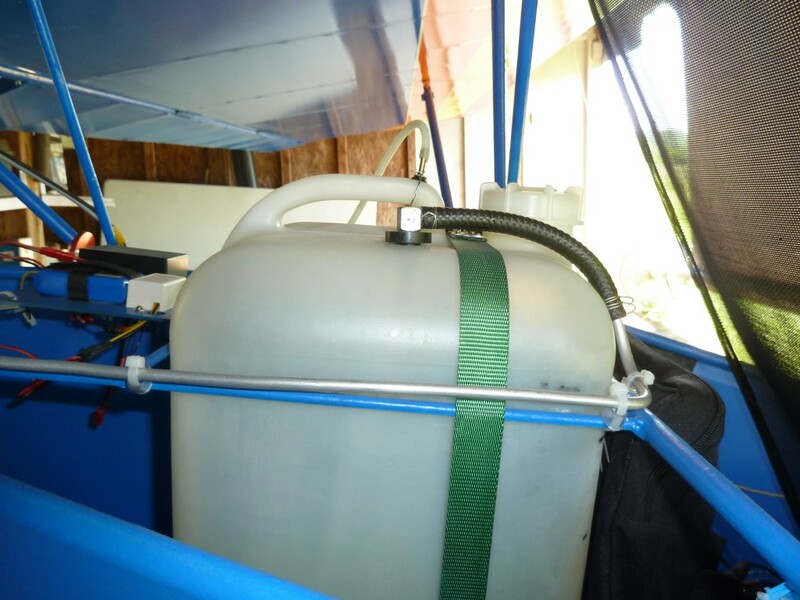 When I built the MKIII, the primer bulb was replaced with a Facet fuel pump. Primer bulbs are famous for failing, on the ground and in the air. 1997, while on a flight in the Firestar from Alabama to Miami, I had an engine failure over Sebring, FL. Only place to go was the football stadium at Sebring High School. I made it into that tiny spot and got stopped. The Lord was with me that day. No brakes installed on the Firestar at that time. The primer bulb stopped passing fuel and the pulse pump pulled it flat. If I was going to run a primer bulb I would spend the dollars and buy a name brand, i.e., Honda, Mercury, etc. I like Honda. Had one on a 90 Honda outboard that was very old. When I sold the boat it was still in good shape. The price will scare you when you go to buy a replacement. Usually, in my experience, it's the little things that bring you down more than catastrophic failures. Murphy is always lurking, waiting to do his dirty deeds. You could check a boat shop. I bought a used boat in the late 80s, 2 stroke outboard,,, have no idea how old the primer bulb was when I bought it, I had the boat 20 years, and was still using the same bulb when I sold the boat. I bought a used boat in the late 80s, �2 stroke outboard,,, have no idea how old the primer bulb was when I bought it, I had the boat 20 years, and was still using the same bulb when I sold the boat. Hard plumb the system as much as possible. Good quality rubber fuel line from the tank to the aluminum fuel line, run that aluminum tubing all the way to the fuel pulse pump. 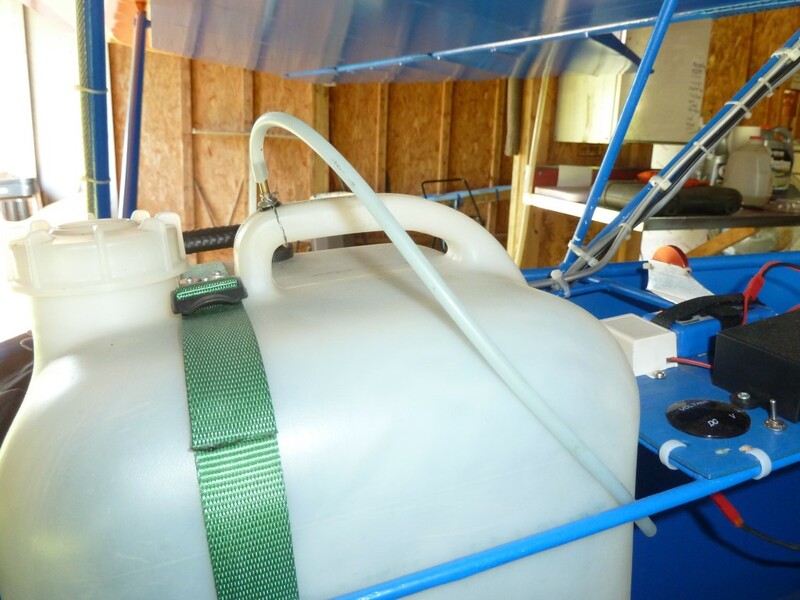 Run clear urethane line (so you can see the fuel going through it) from the fuel pump to the carb and replace it annually. Solder a piece of brass tubing to a brass washer and used a rubber grommet to make a fairly airtight connection to the tank; this is your vent opening. Get a long enough length of model airplane fuel tubing to fit snugly over the brass tube and reach to the side of the fuselage. 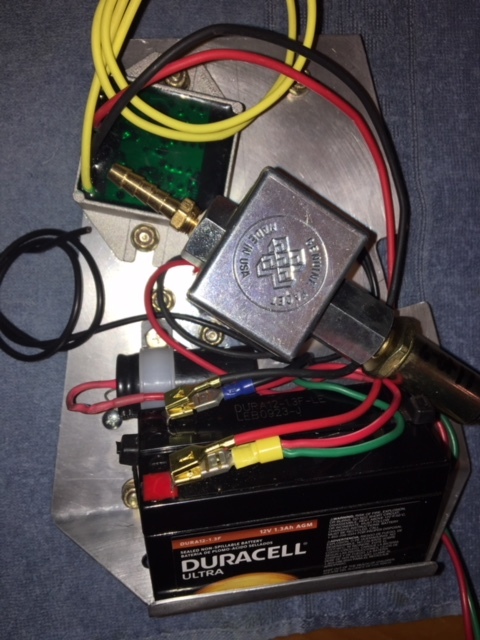 To prime the engine, blow into the model airplane fuel line until you see the gas start to flow out of the pulse pump toward the carb. 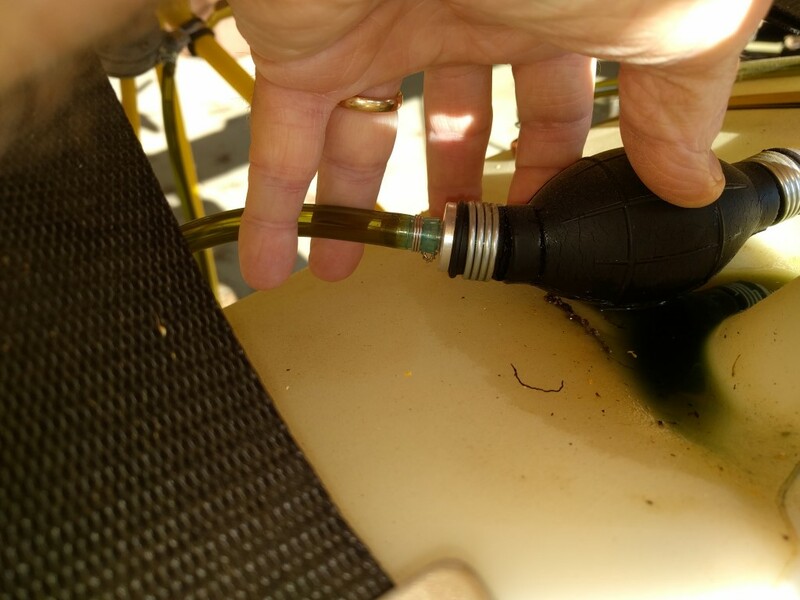 Now pinch off the model airplane fuel line and hold it for a minute until the float bowl has time to fill. 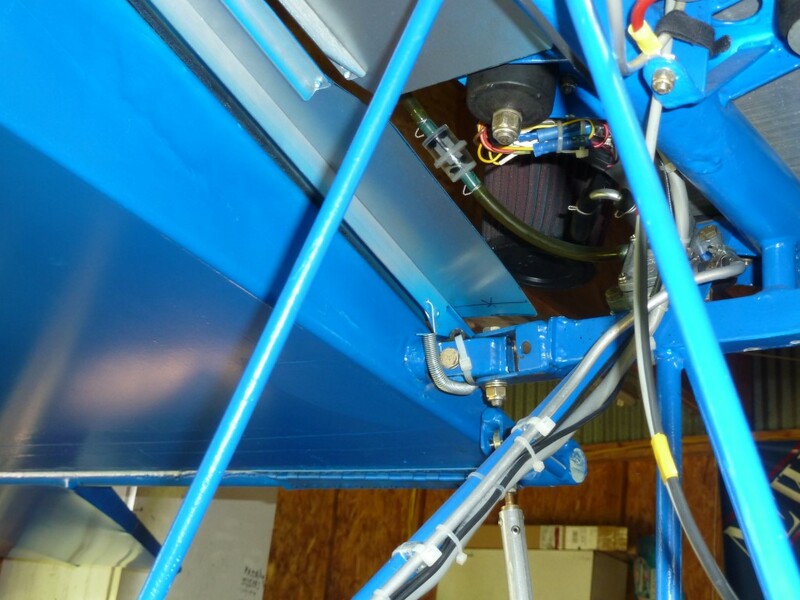 Walk around to the engine side and verify that the fuel line is full, if the fuel line is full, probably your float bowl is too. i used to pull the vent line up and just blow in it putting pressure in the fuel tank forceing the fuel up to the carbs. Worked for me. Only drawback you probably introduce a little moisture from your breath into the tank. I now have a plunger primer. Well first, I want to thank everyone for their ideas & input. 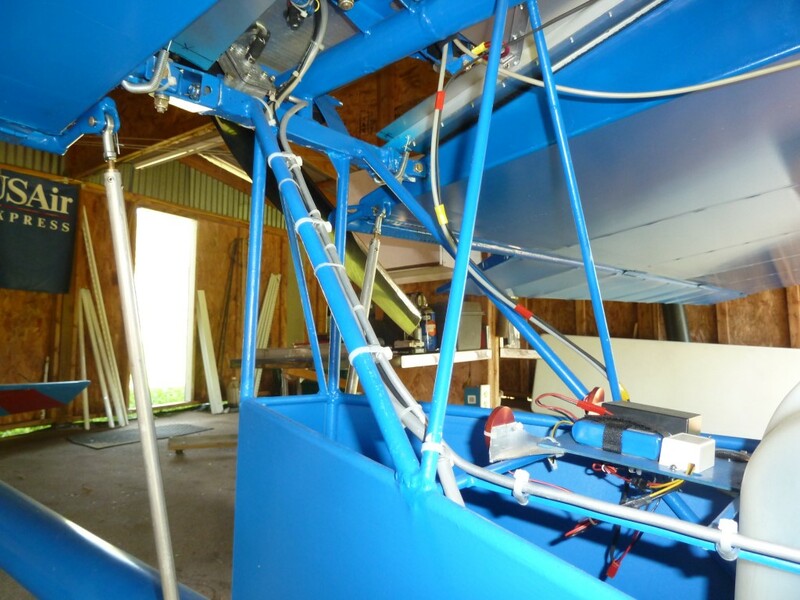 Believe me; I'd much rather have the Facet (or knockoff) than the squeeze bulb, along with an actual electrical system; not to mention a starter that doesn't give the pilot a pre-flight workout. I wrote the vendor about the primer, and they are sending a replacement. It'll be interesting to see if it survives any longer than the 1st one. Looks like a single phase model to me, but the vendor claims it's 'three phase' (term used by all the vendors for the finned units; I can't figure where the two extra phases come from since there's only one pair of wires coming out of the lighting coil....). The Twinstar already has a regulator, but it was built from components by my friend who built the plane. He is very qualified to design & build one, but it's so old that the schematic is long gone. Now....Does anyone know of any old watercraft or snowmobiles that used the old points-ignition 503 *and* had electric start? I'd really like to find a starter that will fit, without paying the 6-8 hundred$ for a new one. Surely there are used ones available, but I need to know what makes/models had them installed.